Pacific Ergonomics strives to develop professional relationships based on integrity and friendly, knowledgeable service. Pacific Ergonomics is a resource you can depend on to provide comfort to your employees in the workplace. 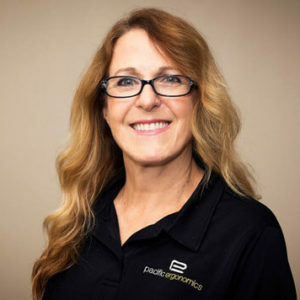 Annie Berzanski is CEO of Pacific Ergonomics and oversees all facets of the day-to-and day operations at Pacific Ergonomics, Inc.
Annie is totally committed to helping companies create excellent ergonomic solutions that make their employees lives better. 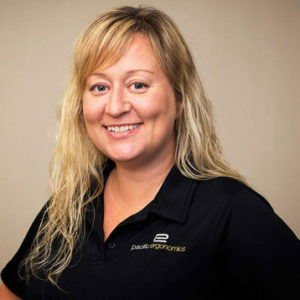 She leads a fantastic, customer obsessed team who is extremely committed to providing excellent customer service, customized ergonomic assessments and consulting, and unrivaled ergonomic product offerings with custom installation. Annie is passionate about healthy living and the value of ergonomics in the workplace to help make employees be happier, healthier and most productive. 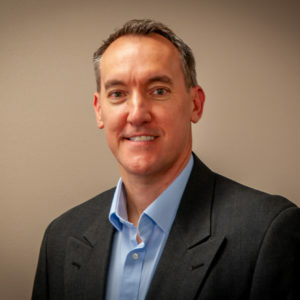 Jerry Berzanski is President of Pacific Ergonomics, Inc and is responsible for growing Federal, State and County Government contracting, in addition to overseeing Operations. Jerry owned a physical therapy practice for many years. 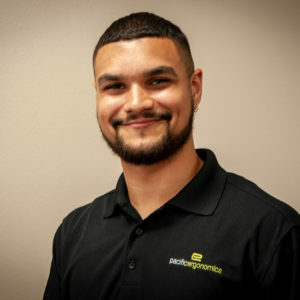 With a deep commitment to providing optimal ergonomic solutions with top notch customer service, Jerry is committed to helping companies in San Diego have happy, healthy and productive employees. Susan Doherty is lead Ergonomist and Operations Manager at Pacific Ergonomics. Susan has CEAS and AOEAS ergonomic certifications with over 16 years of experience in the field of ergonomics. Her background also includes experience in health and wellness program development and facilities management. Susan conducts training seminars, performs group assessments and comprehensive one-on-one ergonomic evaluations. Susan also oversees the purchasing and customer service departments. Dan Floyd is Senior Account Manager at Pacific Ergonomics. Dan has extensive knowledge in the proper application of ergonomic products and solutions. He is also responsible for new product research. Dan is integrally involved with custom furniture and workstation design and solutions. 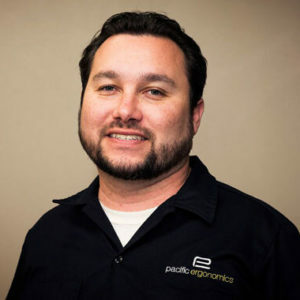 Dan came to Pacific Ergonomics from a prominent local Biotech firm. 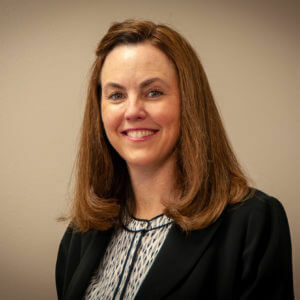 Dawn Jones is an Account Manager and Level III CEAS ergonomic specialist with 20 years of management experience. Dawn is responsible for providing a positive customer service experience and optimizing her client’s ergonomic resources. In addition, she provides customer quotes, proposals and performs order processing. Dawn also assists operations in streamlining company-wide efficiencies and processes. In her spare time, Dawn enjoys volunteering at the San Diego Zoo. Andy Jorge is a Technician at Pacific Ergonomics and is working on completing his CEAS certification. Andy also performs installations, demo chair deliveries and on-site chair fittings with our customers.